During a thunderstorm lightning never strikes in the same place twice. Napoleon Bonaparte was extremely short. Red grapes can make white wine. The Morse code distress signal "S.O.S. ", originally meant "Save Our Ship." Dinosaurs were the largest animals that have every lived on our planet. The Great Wall Of China is visible from the moon. Casino's in Las Vegas do not have clocks. The capital of North Korea is Seoul. Alliumphobia is a fear of garlic. The speed of light is lower in earths atmosphere than in a vacuum. 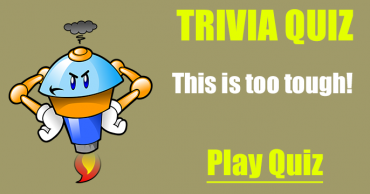 Very hard True or False General Knowledge Quiz. See if you can beat this! 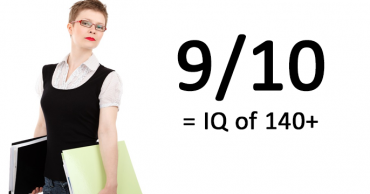 Can you score a 6 or better in this General Knowledge Quiz? 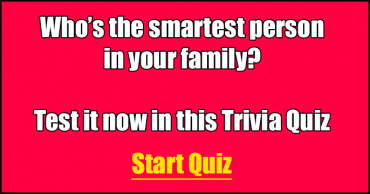 Who Has Most Knowledge In Your Family?